It was in 1977-78 when around five Muslim brothers working for the PNG government, statutory bodies and the University of Papua New Guinea decided to meet weekly to pray in Jam’ah, at least for one Salah. They picked Maghrib Salah on Fridays. After a few months it was decided that Jum’ah prayer would take place in the home of one of the brothers at the University campus, instead. 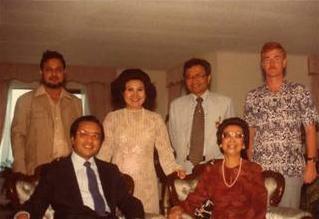 After a few months a request was made by the Indonesian Ambassador – Brother Buseri, who later became Governor of Irian Jaya in 1981/82 – to shift Friday prayer at his residence as he was unable to attend it at the University campus, since the relations between the two countries were not pleasant. 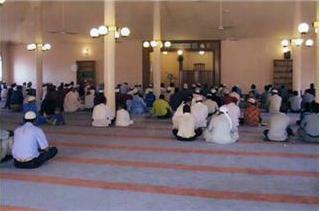 Thus Friday prayer was transferred to his residence. I do not know the exact date or year as it happened before my arrival in the country. I was informed by Brother Ilteja Hussain of Agra, India who was an Associate Professor with the Department of Politics, after my arrival in April 1980. Dr Ilteja Hussain left the University in early 1981. 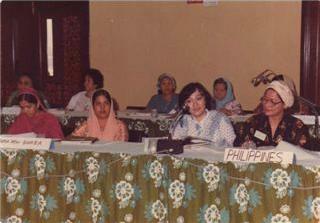 It was possibly between 1979 and 1980 when RISEAP – Regional Islamic Da’wah Council of South East Asia and Pacific – was formed and Dr. Qazi Ashfaq Ahmad, an Associate Professor of Mechanical Engineering with the University of Technology, Lae, became its member and one of its vice presidents. 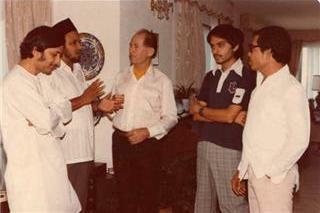 At that time he founded Islamic Society of Papua New Guinea (ISPNG) in Lae with two other Muslim brothers –Dr. Abdullah Gurnah from Zanjebar (Tanzania) and an Arab brother whose name has escaped my memory. It was in early 1981 that Dr. Qazi Ashfaq asked us – the Muslim brothers in Port Moresby (POM) – to form an Islamic Society as the one they were running was not very active since there were only three Muslims in Lae. At that time in POM there were about eight Muslims. Amongst them were Br. Aitiqaad Hussain from Pakistan, Noorul Amin from Bangladesh, Tawwakul Hussain from Pakistan, Ilteja Hussain from India, Shaukat Noor Khan from India, Ahmad Badwi from Sudan, ‘Umar from Egypt and myself, Mohammad Afzal Choudry from Pakistan. We were worried about the Islamic education of our children and after a meeting decided to form a group to start our children’s Islamic education. Funds were needed for the teaching materials and books etc, which included books for our own selves to improve our understanding of Islam as well. After a while it was decided that a proper society to keep the records of funds straight etc would be a good idea. Dr Ashfaq’s request was considered and a constitution was drawn with the first election held in March 1981. Brother Ahmad Badwi from Sudan was elected as President, Brother Noorul Amin from Bangladesh as Vice President, I as Secretary, and Brother Shoukat Noor Khan from India as Treasurer. An application for the registration of the society was lodged with the Registrar General’s office in April 1981 and my interview was aired on PNG radio; a television station did not exist at that time. Same year opportunity arose for the participation of Papua New Guinea in an international conference on “Muslim Women in Development” at Kuala Lumpur, Malaysia which was organised by RISEAP – Regional Islamic Dawah Council of South East Asia and Pacific. As no native women had yet embraced Islam, the Islamic Society decided to send the wives of two expatriate brothers. 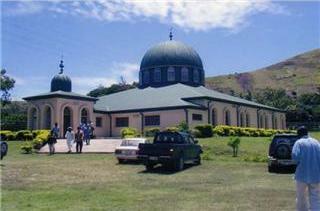 This event introduced the Islamic Society of Papua New Guinea to the outside world for the first time. It was around this time that Brother Sadiiq Sandbach – a Scottish national and retired Colonel – rejoined the University of Papua New Guinea and became known to me. There was an issue with lack of room in other departments at the University and Brother Sadiiq Sandbach asked me if he could use some of the space in my department (Computer Services), to which I agreed. So he brought along with him a desk and a chair and put it in the corridor, outside my personal office. We used to see each other several times a day and restricted ourselves to the exchange of formal greetings only. One day he saw a copy of Al-Qur’an in my hand and seemed to recognise it asking me in an excited manner if I could tell him something about Islam. He told me that he had always had the desire to learn about Islam but could not find anyone to help him in this regard. He also mentioned that he once went to a mosque in Indonesia but people instead of welcoming him in the mosque, stared at him suspiciously as though he was a spy. This made him very embarrassed and he never entered another mosque after that. Over a short period of time we became good friends and I started inviting him to my house to discuss Islam. During this period we also started discussing the affairs of the Islamic Society of Papua New Guinea (ISPNG). He always took a great interest in ISPNG and became a sympathiser of sorts, though he did not embrace Islam until October 1982. After some months the ISPNG received a letter from the Registrar General informing that its registration had been challenged by the then Justice Minister – Mr Paul Torato – in his personal and private capacity, and not as a Justice Minister, without providing any reasons. We all got quite upset and when Brother Sadiiq came to know about it he suggested we should personally contact Paul Torato and to request him for the reasons. I rang his office and he personally answered the call. I asked him for an appointment to which he enquired why I wanted to see him. I told him that it was about the registration of ISPNG, and he offered me an appointment for the following day. Brother Sadiiq and brother Shokat Noor Khan went with me. We were warmly welcomed by Paul Torato personally and he himself made coffee for us. When we told him the purpose of our visit he replied quite bluntly, “what will you do if I do not give the reasons?” We were disappointed by his attitude and told him we would not do anything, but it was an ethical and legal requirement on his part to provide the reasons. He did not answer and without any further dialogue we left his office. After a few months we hired the best solicitor in POM who belonged to the Jewish faith and took the matter to court. In the very first hearing the Judge ordered the Registrar General to present us with the reasons for objections raised by Mr Paul Torato within four weeks. These were hand delivered to me in my office in the University of Papua New Guinea on the last day, at 4 p.m. The objections to the registration of our Islamic Society given by the then Justice Minister included that Islam is in contradiction to the constitution of Papua New Guinea; it teaches extremism; it is an immoral religion and if allowed it will cause conflict amongst the people of that country. We started inviting Islamic workers from around the world to assist us with the appropriate responses to these objections as we felt we were not equipped for that purpose. We did not receive much of a positive response and were disappointed. The then ISPNG President, Ahmad Badawi was acquisition Librarian at the University Library and I was Computer Manager, so we started buying reliable books on Islam, written by Muslim scholars. One day I borrowed a book and without reading it passed it on to brother Sadiiq. After reading the book, brother Sadiiq raised some questions which I was unable to answer. From then on I started reading all the books before passing them on to brother Sadiiq. This increased my knowledge of Islam which existed on a more superficial level before. It turned out Brother Sadiiq helped me to indirectly increase my knowledge of Islam and education. Brother Aitiqaad Hussain used to lead the Friday prayers and he left after finishing his contract with the UNDP in mid 1981. On his departure we needed a new Imam but no one was willing to take up this honourable position and duty. Finally I accepted it reluctantly. I felt my knowledge of Islam was poor and lacking and had never taken on such a role in my life before. Initially it proved to be a very difficult task for me, however slowly I became comfortable with it. I started printing Salaat timings for distribution at the beginning of each month. I also started typing and making copies of my Friday Khutbah for distribution at the end of each Friday prayer. On February 2, 1982 the then Prime Minister – Mr Julius Chan – said over the radio that he would never allow Islam to exist on the soil of Papua New Guinea and that he would oppose it with all of the powers available to him. I got upset and mentioned the broadcast to Brother Sadiiq. He suggested I write a letter to the Prime Minister, asking him for an audience in order to clear all the misunderstanding about Islam he had. In fact Brother Sadiiq drafted that letter himself and gave it to me for signing and posting, which I did. Soon I was contacted by the Prime Minister’s Media Advisor – Robin Osborn – an Australian national. He wrote to me saying that my letter had been forwarded to him and as the matter had the potential of getting out of hand he wanted to talk to me over the telephone. I rang him and an appointment was made which was attended by him and most members of ISPNG. Mr Osborn said that the Prime Minister had no knowledge of Islam whatsoever, and believed it to be a branch of Hinduism, and many of his Cabinet members were Christian priests who were completely against Islam. He also mentioned that he was writing a report on Islam for the Prime Minister and hoped that things would improve. He also asked me if I was aware that the CID police were following me wherever I went to which I said no. He continued that the government was fearful of PNG Muslims and considered them to be the agents of Ayatullah Khumaini of Iran and Mu’amar Gadafi of Libya. He also informed me that all my mail was scanned. I replied that I had never suspected any of the things he had revealed to me neither that I was indifferent as we were not doing anything against the interests of the country. However after a few months the government was changed and Michael Somare became the Prime Minister, once again. It was middle or late 1982 when the Malaysian Prime Minister, Brother Mahathir Muhammad visited Papua New Guinea for one day, on his return from the Commonwealth Head of States meeting in Fiji. 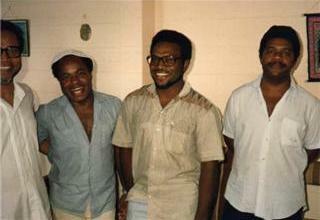 Michael Somare, the Prime Minister of PNG was his personal friend and forced him to stop over in Port Moresby. I met brother Mahathir and asked him to recommend the registration of our Islamic Society to Michael Somare. He told that he was just returning from his office and had already discussed the matter with him, as he was instructed by Brother Tanku Abdur Rahman, the ex-Prime Minister of Malaysia and President of RISEAP, to do so. He advised me that we should not confront the government as this was not the way to achieving the success we wanted. He also advised me that we should keep a low profile and wait for the right time for the registration of ISPNG. He mentioned that Michael Somare had promised him the registration once the priests of his cabinet had calmed down. Before leaving PNG, Mahathir Muhammad invited Michael Somare for the state visit of Malaysia, which he accepted. Brother Sadiiq read a lot of literature on Islam for about six months and we had many heated discussions. One day he asked for a copy of my Khutbah. I started giving him a copy of it every week which we would discuss afterwards. After a few weeks he asked me for a copy of the Salaat timings. I asked him in a delighted and excited manner if he was a Muslim. He replied that he was not a Muslim yet. He explained that he had studied almost all the religions of the world, including almost all the denominations of Christendom, and found Islam to be the perfect faith in line with the human nature and in perfect tune with the human intellect. He further added that he would only embrace this religion if he was able to perform the five daily prayers. Fasting was not a problem for him as he had tried it and found it quite easy. I asked him that when he was totally satisfied with his understanding of Islam and ready to embrace, he could let me know. Only a couple of weeks had passed and he came to me and asked if he could join us for Friday prayers. The following Friday he joined and we went for the prayer and he said the Shahadah. It was October 1982 and he was the first person to declare Shahadah on the soil of PNG – Allahu Akbar, Allahu Akbar, Allahu Akbar! 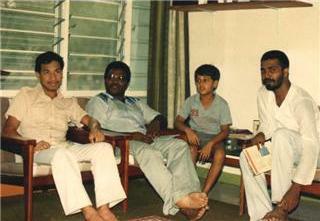 In 1983 Brother Shafiqur Rahman from Sydney visited Port Moresby and Lae. At that time he was working for Darul Ifta and came to assess the possibility of a grant to Papua New Guinea in order to purchase some property for the purpose of an Islamic Centre. After completing his findings he gave us an application form to complete (the society was not then registered). He promised to recommend, but without a guarantee, an amount of US$20,000 for PNG Muslims; this was not accepted as being peanuts for the set purpose. During the same or following year Sheikh Muhammad bin Qu’ud of Darul Ifta, Riyadh, Saudi Arabia also visited Port Moresby with one of his colleagues. Promises were made but left unfulfilled; the small number of Muslims amongst which there were no natives may have been the reason for that. One Friday during 1983, a Muslim brother from Bangalore, India (unfortunately I have forgotten his name) attended the Friday prayers. He was on a business trip to buy some timber. After the Salah he took me into a corner and asked why we had not considered buying a place of our own which would be neutral ground for Islamic Da’wah activities. I told him that we did not have enough money to do that. He gave me US$10,000 in hard cash and wished every success for us and our Islamic Society. This was the first major donation and the first building block towards the establishment of Islam in Papua New Guinea – may Allah Ta’ala reward that brother abundantly in this life and in the Hereafter. We never saw him again. It was December of 1983 when I received a telephone call from the Secretary of Justice department, Mr Luke Lukas – a naturalised citizen, originally from Holland. He asked me if I could see him straightaway. I excused myself explaining I was busy and asked if the following day was okay, to which he said it was regarding the registration of the Islamic Society. He also mentioned that Michael Somare was going on a State Visit to Malaysia in four days time and they had to discuss and finalised the matter before his departure. 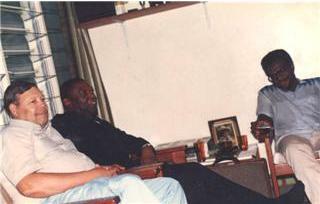 I went to his office and found him waiting for me with the Secretary of Foreign Affairs and Registrar General. He welcomed me and explained the urgency of the matter and asked the Registrar General for a quick decision – whether it was a registration or a rejection, but not without valid reasons. The Registrar General mentioned that he did not understand some of the words used in the constitution of the society, such as Quran and Hadith. He also objected to one of the clauses of the constitution which stated that in the event of dissolution of the society its assets will be transferred to the AFIC (Australian Federation of Islamic Councils). He was not happy about the transfer of PNG moneys to any other country. I offered to replace the statement with the transfer of funds to some charity organisation within PNG, to which he agreed and asked me to bring the revised constitution to his office the following day. It was Friday and I went to the Office of Registrar General after Juma’a prayers with the amended constitution. He served me with a cup of tea and signed all the pages of the constitution without delay and without reading anything, and asked his secretary to prepare a certificate of Registration straightaway. I had the certificate in my hand within half an hour and instantly rang Sadiiq Sandbach informing him that our Society had been registered. He could not believe it to which I said that the certificate was in my hand and I was on way to my office. That day was a great day for Muslims in PNG and we celebrated it over the weekend. The following year we decided to send Brother Sadiiq Sandbach as our representative to the Annual General Conference of the RISEAP (Regional Islamic Daw’ah Council of South East Asia and Pacific). We thought that being a recent Revert to Islam he would leave a good impression on the participants and could present our case in the best possible way. He was well received and he presented our case in a beautiful manner which made all the participants of the conference very sympathetic towards Papua New Guinea. During his stay in Malaysia, the Libyan Embassy staff contacted him and offered some help. 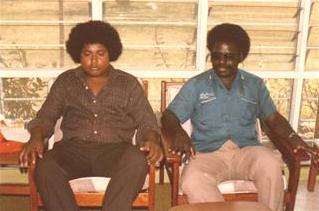 Brother Sadiiq informed him that the PNG government considered us as agents of Mu’amar Gadafi and Ayatullah Khomeni. So we would prefer not to bring Libya or Iran into the picture. They still insisted they wanted to help and Br Sadiiq suggested that they could send us an electronic typewriter and a photocopying machine, but only through RISEAP. They agreed to this and also gave him US$3,000 in cash. The two items were received by us soon. The next step taken was the publication of a bi-monthly newsletter under the name “Al-Islam”. The first issue of “Al-Islam” was produced in February 1984. One hundred copies were produced and distributed through the University Bookshop, free of charge. The typesetting was carried out by me and it was edited by Brother Sadiiq Sandbach. It was printed at the University Printing Press at a very nominal cost. Being staff members we paid the cost of the paper and ink only. The newsletter was printed up until the end of 1988 and then stopped due to unavoidable circumstances. The number of copies published increased with each issue and 800 copies were published for the last issue. After the publication of the second issue of “Al;-Islam”, the University Chaplaincy launched its Christian newsletter in competition. They managed to publish only one issue and it was not seen again. The year 1984 was a very lucky year as we welcomed three great Muslims of our Ummah – Brother Eltayyeb Abdul Aziz Eltayyeb from Sudan who joined UNDP as Commissioner for the refugees, Brother Azeemullah, an engineer from Fiji who joined Shell PNG on an exchange programme and Brother Shahul Hameed from Malaysia, who joined a private retail company as an accountant. All three brothers were practising Muslims with an in-depth knowledge of Islam and possessed good experience in Dawah. This boosted our morale and activities in the field of Dawah increased many fold. It was towards the end of 1985 that we published an article on the prohibition of Alcoholic drinks and the eating of pork in Islam. The article was well received by the university population. I received a letter from one of the Students, Alexander Dawia who was in his final year of B.A honours in history. He was very impressed by the article and asked for more information and showed an interest in joining the Islamic Society. I wrote him to see me and we had a few meetings and discussed Islam. I also introduced him to the Ahmad Deedat videos which were very popular at that time. The first video he watched at my residence was about “What the Bible says about Muhammad?” It interested him so much that he kept taking notes. I told him to watch it at his leisure and that I would give him a booklet of the video before he left. Sometime in November 1985 Alex went to Australia to do research on Black Theology. He asked me if he could stay with some Muslims to learn more about Islam. I contacted Qazi Ashfaq Ahmad who had by that time left the University of Technology and had gone back to Sydney to settle down. Dr Ashfaq Ahmad contacted various mosques along the coast, from Cairns to Sydney, and made a pleasing itinerary for him. In January 1986 Alex arrived in Sydnet and Brother Ashfaq looked after him as a guest at his own residence. One evening Brother Ashfaq Ahmad rang me and asked to have a word with Alexander. Alexander told me that he had decided to say Shahadah, but he wanted to do it in Port Moresby in my presence on his return. I told him there was no need to delay it and that he should do it since he had made the intention. The following day was a Friday – 16 or 18 of January 1986. Alaxander Dawia pronounced the Shahadah at the Jamia mosque in Sydney. The white Muslims were introduced to him and they greeted him pleasantly inviting him for meals, Alexander thought their behaviour was strange and out of character as the White expatriates in PNG never invited the black locals into their homes, in fact they were rarely even nice to them. Alexander Dawia being from Bouganville (the Solomon Islands) was very dark so we suggested him the Muslim name “Bilal” explaining the full background of the first Bilal – may Allah be pleased with him – who was a distinguished companion of our beloved Prophet Muhammad – may peace and blessings of Allah be upon him. In the mean time Brother Sadiiq had been discussing Islam with Lavi-Ali who was his adopted son. When Lavi-Ali learned about Alexander’s decision he also decided to pronounce the Shahadah on the same day. In this way the Islamic Society of Papua New Guinea witnessed the reversion of two native Papua New Guineans who received the honour of being the first native Muslims. In February Alexander returned to Port Moresby and asked if he could stay with some Muslim brothers as his whole family consisted of staunch Christians. He felt uncomfortable staying with them now. Brother Azeemullah’s family was in Fiji and as he was alone he offered his house to Bilal. Azeemullah helped Bilal to memorize Salah within a few days. Sometime later there arose an opportunity at the RISEAP for someone to attend a conference and Bilal was sent to take part. On his arrival he made the headlines in Malaysian newspapers as the first Muslim of Papua New Guinea. The respect he received in Malaysia was enormous as wherever he went people recognised him and requested his company inviting him to sit and dine with them. On his return another opportunity arose at the Islamic University of Islamabad, Pakistan for the training of new Imams. 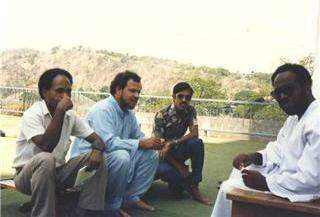 Bilal participated in that and made many contacts in Islamabad. He met a brother from Tablighi Jam’at who took him to their headquarters in Raywind, Lahore. Through Tablighi Jam’at Bilal visited India, Bangladesh and Sri Lanka in the six months that followed. After obtaining his degree qualification he found a job in Australia and settled there. I was living in the University campus but would go to my office in my car and on my way to home. I had the habit of offering a lift to anyone that was walking; it was mostly the Papua New Guineans who would be on foot. One day I gave a lift to a Librarian cataloguer, Barrah Nuli. Sitting next to me he asked me if I was the one who was publishing “Al-Islam”. I replied yes and he requested a copy of the last issue which he had unfortunately missed. I went with Bilal and took a copy of the issue to his office and introduced him as a new Muslim. Barrah was delighted to meet him and mentioned that he was also very much inclined towards Islam as was his wife who was working in a bank. I introduced him to Brother Azzemullah who started taking Barrah’s family to his house for the weekends and showed them videos and discussed Islam. 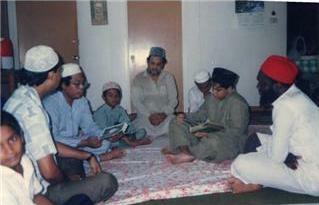 Towards the end of 1986 Barrah and his family also embraced Islam. 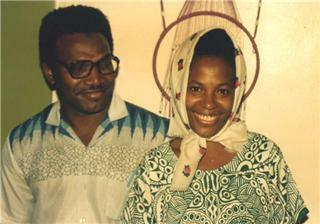 His wife Fatima was the first Papua New Guinean lady to embrace Islam and his daughter Hajira the first child. Sister Fatima’s father was a Church Minister, who strongly opposed their decision of reversion to Islam. When he realised that they would not change their decision at all, he agreed to their reversion. One of Barrah’s friends by the name of Mr Salmang also became interested in Islam through Barrah and ended up becoming a Muslim in early 1987. His wife was a very staunch Catholic but also embraced Islam after a year. She was followed by Umar Nabai, another cataloguer in the University Library and Khalid Islam Apai – the National Boxing Champion, who was working as a regional Works Manager with the Department of Work and Supply. All of the early Muslims were graduates and professionals and started taking part in Dawah activities straightaway after their reversion, and as a result the number of new Mulsims gradually increased. Brother Azeemullah was very active in Dawah after his arrival in PNG and would discuss Islam with his personnel manager Mr Amaki. Amaki initially refused to listen to anything about Islam but gradually started talking about the concept of God. Brother Azeemullah who had brought several videos of Brother Ahmad Deedat with him from Fiji, invited Mr Amaki to watch some of them, to which he agreed. Mr Amaki and his wife, a banker started watching these videos and soon they decided to pronounce their Shahadah. Brother Ahmad Deedat’s videos became very popular and for their wide circulation we decided to make some copies of them. The university had an Audio Visual section and I approached its staff for this purpose. Two staff members of the section started to watch the videos while copying them. I started visiting them regularly to discuss what they had watched. Brother Wanjemanker (may be wrong spelling) began discussing Islam with me quite regularly; whenever he had some free time he would come to my office and occasionally to my home which was only a few doors away from his residence. After a few months I asked him politely if Islam had penetrated his heart, to which he answered “Yes”. The following Friday he pronounced his Shahadah and chose the Muslim name “Jaffar” as his own. It wasn’t long before his colleague, after becoming convinced, also joined the fold of Islam with “Abid” as his Islamic name. Brother Jaffar’s wife was a staunch Christian and had always disliked his reversion to Islam. Because he was a very calm, mature and humble person, he handled the situation wisely. He had five children at that time, two girls and three boys. He started bringing his boys to the children’s Islamic classes and gave them Muslim names. On the Eidul Fitr that followed I decided to visit Brother Jaffar and his family to say “Happy Eid”. With me was my wife and we took some sweets for his children. As much as he was happy to see us, his wife did not share the same sentiments and swiftly retreated into her bedroom locking it after her. Brother Jaffar requested her to come out but she argued with him in their native language. Judging the facial expressions and body language of Brother Jaffar my wife and I strongly agreed that it was appropriate that we leave the scene. We gave the sweets to his children and left. Brother Jaffar’s wife tried her best to force her husband to denounce Islam but he refused – the more she pressured him the stronger his Imaan became. Finally she personally went with a complaint to the Vice Chancellor of the University that I was propagating Islam through my office, and that it was important that he stop it. The Vice Chancellor conducted inquiries into this matter but did not find any evidence for it. I received this information through one of my staff members after he had been summoned by the Vice Chancellor in this regard. Brother Jaffar was senior in age amongst all the Reverts and a few years older than me. He was very enthusiastic about learning the Arabic alphabet and the recitation of the Quran. He worked hard to learn the Arabic language and would always ask me for the possibility of an English Arabic dictionary from somewhere; however at that time there weren’t any available. 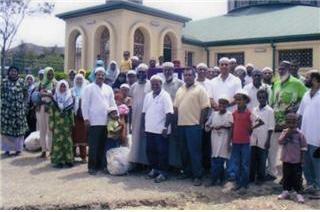 A few years after my leaving PNG, brother Jaffar retired and went back to his village to settle down; there he started Da’wah amongst his own people. We stayed in contact for a long time and in his last letter he wrote about the death of his wife. I understood that she had never accepted Islam, may Allah Ta’ala give her the least punishment for what she did in her worldly life. All his children are very good Muslims. The Papua New Guineans were well known for being very heavy drinkers; it was discussed among the members of the ISPNG how this issue could be tackled, acknowledging the fact that it would be difficult for them to stop drinking straightaway after their reversion to Islam. Brother Abdullah Gurnah of Zanjebar (Tanzania) suggested we should perhaps not mention the prohibition of alcoholic drinks to them straightaway. Once they had settled into their new religion the issue could be raised with care. I disagreed and told that we were not doing the work of Da’wah for the benefit of our own selves, we were doing it for Allah and Allah alone, and so we MUST not worry about anything at all, and we should follow the guidance of our beloved Prophet Muhammad (SAW) strictly. Allah blessed the new Muslims greatly as they never again consumed alcohol or ate pork once they had pronounced the Shahadah. It was like a miracle. The reversion of Khalid Islam Apai was very interesting. He was on a training course at Lae Polytechnic. One of his teachers was from Pakistan, who used to receive copies of “Al-Islam” and would pass one on to Mr Apai. One day I received a call from Mr Apai, who wanted to know something about Islam. After that we talked regularly over the telephone on Islam, sometimes for hours. Finally Brother Khalid pronounced his Shahadah over the phone and I sent him some literature and talked to him about praying regularly. 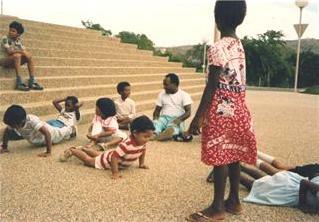 We had never met and one day he rang me to tell that he was coming over to Port Moresby and wanted to visit me. We told each other what we would be wearing so we could recognise each other. When we met at the airport we embraced each other. The joy and what I felt at that moment can not be expressed in words. He stayed in Port Moresby for a few days and learned the basic tenets of Islam. Brother Khalid Apai was married and his wife was working as an air hostess with Air Niugini; her father was a minister of a church. Brother Khalid earned a lot of money during his boxing career and bought some plantations and other property which was in the name of his father in law. His reversion upset his father in law greatly and he tried everything to win him back, but Khalid did not retreat an inch from his stand. Finally Brother Khalid lost all of his property but he stood firm in his Imaan. His wife offered her support at first; however Allah alone knows what happened to her as she turned against Khalid later on. She left Khalid who loved her a lot and who put every effort into trying to win her back but without success. As problems came his way he became stronger as a Muslim and his faith remained unmoved – may Allah Ta’ala reward him for all the trials and tribulations he went through. Finally his marriage was dissolved and he married again to an Assistant Secretary of Education at that time. Brother Khalid is still a valuable member of ISPNG, as far as my knowledge goes, he acts as an Imam whenever Brother Mikail Abdul Aziz is away. In 1987, two Muslim brothers from the United States who were members of the Nation of Islam came with their families on a Visit to the Pacific countries after visiting Mu’mar Gadafi of Libya. One of the men known as Akbar Muhammad was a very close friend of Mu’amer Gadafi and was well known in the European and Australian circles because of his links with Libya. He was refused a visa to enter Australia, but somehow he got a visa for PNG and requested me to see him. He was staying at a hotel and I went to visit him with two of the new reverts with me. While talking on various issues, the time for Maghrib prayer arrived and I said that we wanted to get ready for it. By that time Barrah had learned all of the Salah by heart with a few short Surahs from Al-Qur’an, so I asked Barrah to lead the prayer. Initially he showed some hesitation and I offered encouragement by telling him he could perform the duty easily and successfully, after this he led the prayer. At the end of the Salah brother Akbar Muhammad stood up and started affectionately hugging Barrah over and over again. Then he asked me how he had learned the Salah in Arabic as they (the people of the Nation of Islam) were still praying in English. I was shocked to learn what he had revealed. When the Australian government came to know that they had been granted a visa by the PNG government there was a great hue and cry in the national papers, both in Australia as well as in Papua New Guinea. One evening I invited them for a dinner at my residence and somehow it came to the notice of the media in PNG. The following day there were headlines about them and our links with Libya. The Archbishop of Port Moresby gave very hostile statements to the media against Muslims in PNG. He bluntly asked why the government had employed Muslims in the University – were they there to teach students or propagate the religion of Islam! After this incident the prejudice of the churches reached new heights in their hostility towards Islam. I remember we compiled a very basic article on Islam, about four A5 pages and wanted to get it printed. The printing press in Port Moresby was owned by the Catholic Church and they absolutely refused to print it, though we agreed to pay any charges for it. After the reversion of a good number of Muslims, we set about planning social activities and events such as picnics and the visiting of various places of interest in Port Moresby. At the same time a women only circle was also started which was well attended. It provided the chance for local revert ladies to mix with the expatriate Muslim women to not only learn more about Islam but also share skills such as new cooking recipes etc, and it was an opportunity for the children to get to know and play with each others. 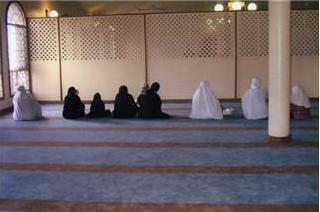 Wherever we went we never missed our Salah, we would pray at the correct time in Jama’ah. We had prayed Salah at almost every public place in Port Moresby – outside the museum, in the national park, outside PNG Parliament, at the beach and other public places etc. When we prayed the local people would gather around us and watch with surprise and wonder at what we were doing. On such occasions we would ask one of our local brothers to explain to them in their language what the prayer and Islam meant. This was a good way of Daw’ah. During the same year the first Tablighi Jama’t came from Australia for a week. It was a good mix of different nationalities, mainly Malaysian, Singaporeans and Australians. Looking at the increasing number of new Muslims we began to think about neutral premises appropriate for praying and from where we could disseminate the teachings of Islam. Brother El-tayyeb mentioned to us a friend by the name of Dr. Ahmad Totonji who could help us in establishing an Islamic Centre. One evening brother El-tayyab invited all Muslims for dinner after which he rang Brother Ahmad Totonji, however he was resting. We got through to him around midnight and explained our plans to him. Brother Totonji agreed to finance 50 per cent of the total costs – whether we bought or rented the place. In addition to that he promised to provide the salary for an Imam. He said that 50 per cent of our share would make us feel proud to be the owners and this would ensure that we would take good care of the property. Everybody was highly pleased and happy and we looked ahead at a great future for Islam in PNG. Brother Totonji was so sincere, truthful, and keen and interested in our religious affairs that he sent an Imam from Australia within a couple of months after our telephone conversation; his name was Yusuf Popat and he was originally from Afghanistan. Brother Totonji left the selection entirely on us. We called a general meeting and explained everything to the participants. Since there was no place purchased or rented yet, people were a bit hesitant and did not know where Brother Popat should be housed. PNG was one of the most expensive countries at that time and we felt it was appropriate to wait until we had a place. I believe that Brother Yusuf Popat was not happy with the general environment of the place during his visit to PNG. We began looking for a house which could be converted into a mosque to start with, as the property prices were at an all time high – the real estate business was very hot. Fortunately a house became available on the market owned by Air Niugini and its price was PNG Kina 65,000 (1 Kina = US$1.40 at that time). We had about 12,000 Kina at that time out of which 10,000 Kina was paid for the deposit with a promise to clear all the payments within 6 months. 50 per cent of the share came straightaway from brother Totonji and we started raising the rest locally and internationally. A donation appeal was drawn by Brother Mohammad Shamsul Alam Chowdhury, the then President of ISPNG, fully documented with action and future plans. The response was good, both locally as well as internationally. We were hoping for about $50,000 which was not an easy target to reach. There were many incidents that took place which I would describe as miracles during the whole exercise; however I will only mention one. A copy of our appeal for donations somehow ended up in the hands of a trainee in a Correctional Institute in New York, America. He had only $13 in his account at that time and the telegraphic transfer charges were $11. He sent the remaining $2 into our bank account directly which was overlooked by us. We only came to know about this fact after receiving his letter in which he explained the plight he was in and how pleased he was to help towards this cause. He was a new Revert to Islam and wrote greeting in Arabic. Generous donations came from Hong Kong, Pakistani employees of the Asian Bank in Manila, our contacts in Canada, Singapore and the UK. After all the efforts that were put in and which were spread over 4 months we were still short of $15,000 and worried in case we lost our deposit. In those days the Far East Regional President of WAMY was Brother Kumarud-din Noor and I wrote to him about the difficulty we were facing. He instantly responded with an explanation that he didn’t hold a budget but he would surely forward our request with his strongest recommendations to the head office in Jeddah for assistance and asked us to have trust in Allah. The story got interesting later: our request was forwarded and it was lying on the table of the General Secretary when a generous brother came and asked about it. The General Secretary explained the whole matter to the enquirer who in turn took his cheque book out and wrote a cheque for $15,000 and asked for the letter to be destroyed. In this way in six months we were able to raise $10,000 more than what we needed. The house was purchased and we started to make use of it. This centre was in the Corobosea area which was not very good from the security point of view. In reality there was no safe place in Port Moresby from the security point of view. There had been some trouble from the neighbours – an Australian family – in the beginning. Whenever we called Adhan the neighbours would put on radio at its full volume. However things settled down soon. We started various study Halaqahs to learn about Islam. Brother El-Tayyeb started teaching Arabic to the new reverts and children. Other activities were also started which included Dars-e-Quran (Quranic tafseer) and social activities. 1987 saw the departure of Brother Azeemullah and 1988 the departure of Brother El-Tayyeb and we lost two great Muslims and Da’ees of Islam. During this period some Bangladeshi Muslims joined us and the overall population of the Muslim community increased. Brother Mikail Abdul Aziz had good contacts in Saudi Arabia and asked Medinah University to give admission to some of the Papua New Guinean youth. 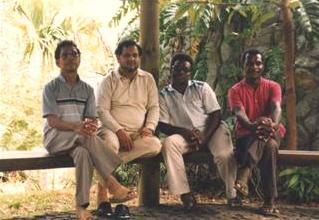 A delegation from the University came to visit in 1990/1991 and selected a few young men. The first person to go to study was Brother Abdul Majeed; however he was not able to cope and didn’t return after coming home for holidays at the end of the first academic year. Brother Mikail Abdul Aziz worked hard at extending the Message of Islam to the people he came in contact with. He particularly used the main market place for this purpose. The Papua New Guineans were used to the Christian method of perks and prizes, so they used our naïve Imam on the same level. People he came in contact with manipulated him for things such as a cooking stove and other material objects including hard cash. The Society initially released the funds and when it became a routine exercise they stopped the payments from going out to such people. The Imam was told not to entertain such people. Brother Mikail Abdul Aziz was so keen on winning people over to Islam that he started paying them out of his own pocket. Brother M S A Chowdhury, the then President of ISPNG was working with the Civic Centre and applied for a piece of land for a Muslim Cemetery which was granted. We also started applying for a bigger place for a proper Mosque but faced very strong opposition from the Churches. Each time an application was made for an advertised place the Churches joined hands and came in the way of our success. Finally Brother Mohammad Yusuf, the then President of ISPNG with the help of Malaysian High Commissioner met the Minster of Lands directly – I believe it was Mr Hugo, a naturalised citizen originally from Holland – and he kindly allocated us a three and half acres of land at Hohola where our present Islamic Centre stands. All the architectural work was carried out by Brother M S A Chowdhury, who was a civil engineer. Brother Yusuf also contributed a lot during his term of Presidency. He made the Mimber, book shelves and glass cabinets for the old centre as he knew the basic carpentry. Soon after the people from Mendi and Chimbu provinces started embracing Islam and a decision was taken to make regular trips to the Highlands. Brother Mikail Abdul Aziz and Brother Yaqoob Amaki, and at times Brother Sadiiq Sandbach would go and dozens of people would embrace Islam on each trip. The behaviour of people changed as a result and this contributed to the improvement of law and order which was a big problem in the Highlands. A time came when the Chief Minister of the Highlands told the Muslim da’ees to convert more and more people to Islam as they were becoming better citizens. He once, before going on a trip, gave the keys of his house to Brother Imam and told him to consider it as his own house in his absence. He never embraced Islam during my stay in PNG. The modest centres were established there with modest financial help from the Society. 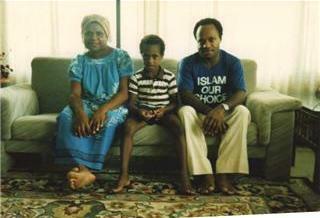 On the 20th of April 1992 I left Papua New Guinea for good, a hundred people belonging to the local population had reverted to Islam during the 12 most memorable years I had spent there. I found the local Papua New Guineans very understanding, cooperative and helpful. Whatever we needed anything we would just ask for it and we got it with the least of problems. I remember an incident which is worth mentioning. In 1989 we went to an agricultural show and at one of the stalls we came across some spices. It was always difficult to find spices in PNG and we would normally bring them from Singapore/Hong Kong or import them from Australia. I asked the stall attendant if it was possible to buy some. He politely answered that they were not for sale but that if I left my address with him he could try to deliver some at the end of the show. A couple of days passed and he appeared on my doorstep with an impressive variety of spices including vanilla sticks. Showing him how pleased I was I excitedly enquired about the prices at which he was selling them. I still remember his facial expression that conveyed to me the message that I seemed to have asked him a foolish or silly question. He replied very politely that they were free as he had told me they were not for sale, and he had come by as he had promised just to give me some. He said he could not accept a hot or cold drink and left with the excuse that he lived at a good distance from my house and had to leave as daylight was short. I would like to add the course of events that led us to the occurrence of the availability of Halal meat and poultry. 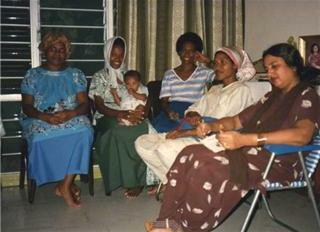 In 1980 after arriving in Papua New Guinea we learned that there was not a single source of Halal meat or poultry. Initially we began buying meat and poultry from the available Christian shops; however, towards the end of 1980 we started buying live chickens and butchering them in the backyards of our homes so that we could enjoy Halal food. Following on from this we decided to see if we could buy goats and/or sheep in a similar way so as to bring home and slaughter in order to adhere to Muslim dietary laws. There were no sheep in Port Moresby and during my 12 years in PNG I had not seen a single sheep anywhere in the capital. Some local people informed us that goats were available from nearby villages. We would then drive for hours from one village to another in search of them. Finally we found around three villages which had a few goats. We began buying live goats from these villages, transporting them back to our homes in our car boots and slaughtering them in the backyards of our homes as we did with the chickens! A little over a year had gone by and the stock in the villages had been drained. It was in 1981, on the occasion of Eidul Adha, when we decided to make arrangements for the sacrificial slaughter of a cow. This was the first Qurbani (sacrifice) to take place on such a scale on the festival of Eidul Adha in Port Moresby. Five Muslim families decided they would contribute towards sharing a cow if such an opportunity arose. The manager of an abattoir, which was about 15 miles out of town, was contacted and explained that the sacrificial slaughter was being celebrated as a commemoration of Prophet Abraham’s willingness to sacrifice his son, as commanded by Allah, The Most High. We narrated this event in detail and told him that he might have read it in his bible. We also emphasised that in order to celebrate the festival in the purest way we would want to slaughter the cow according to Islamic tradition – without shocking the cow to a senseless state – to which he agreed. Eidulul Adha that year happened to fall on a weekend and we came to an agreement to pay his staff any overtime for slaughtering the cow on the Sunday; however he refused to accept any payment for his own self. The abattoir housed cows on its premises and we were told we could select any one of the ones we had seen. In some brave cases wives and children went along and collectively the families chose a spotless white cow, healthy and strong looking adorned with big horns that were shiny and beautiful. What follows is a somewhat unconventional account of how the events occurred: four local Papua New Guinean workers began chasing the cow taking them well over an hour to catch it, control it and direct it towards the abattoir. They produced sufficient rope with which they tied the legs and then put her down on the ground. The most senior Muslim brother amongst us, Brother Aiteqaad Hussain was assigned the duty to cut the throat of the animal with a loud Takbeer. The blood came gushing forth when all of a sudden the cow with all of its force and might stood up leaving the four locals speechless and helpless. Despite the big scare the animal was brought under control and the ritual was completed. The manager of the abattoir was clearly affected by the experience but did not utter a word to us. The cow was skinned, cleaned and cut appropriately so that the shares could be distributed. We left for our homes pleased we had made contacts with the abattoir manager, and secure in the knowledge that we could go back if and when our requirement for Halal beef came up again. A few months passed and we went back, however the manager told us politely that he could assist us again but not in the manner of the slaughter that took place the first time. He made it clear he could lose his job and a compromise was reached. From 1986 onwards arrangements with private farms were made for the slaughter of cows according to the proper Islamic method. From then we were involved in the major part of the whole operation – the slaughtering, skinning and piecing; in fact we even purchased tools and became experts of sorts. I hope this procedure is still in action like it used to be. By 1986/87 the number of Muslims had increased many fold – not only was there an increase in the Muslim expatriates in the country but local Papua New Guineans started embracing Islam. The question of enough Halal poultry came up. The existing method was thought of as inadequate (still in back yards and gardens of homes). Many people did not like butchering the chickens themselves, and they felt they were burdening other brothers if they asked for assistance. Sometime later the management of a poultry farm by the name of Ilimo Farm was contacted, the only one of its kind in Port Moresby at that time, and we asked them whether there was the possibility of achieving an Islamic slaughter of chickens on a large scale. They were straightforward and made it clear that they could help us but we would have to do the butchering ourselves. It was agreed upon that a couple of Muslim brothers would go a couple of hours before the factory opened and do the slaughtering themselves whenever Halal poultry was required. 200 to 300 hundred chickens used to get butchered each time. The method was such that two brothers from the Islamic society would go along each time to say Takbeer on each chicken before it got butchered. Once the lot was finished the management would give them a gap of 30 to 40 minutes before the regular work was started. By that time the Halal chickens were sorted through so that they did not get mixed with the non-halal ones. The chickens were then packed in cartons of eight and frozen before being distinctly labelled as the property of the Islamic Society. After a day passed we were able to buy the number of boxes required, however the purchase of individual chickens was not possible. The farm would contact the society when the supplies were running out and we would send someone for the next lot. The system worked well and without any confusion. When the local Papua New Guineans started embracing Islam they would require Halal chickens too, however, like their expatriate brothers most of them were not in the financial position to buy a box as the minimum allowed to be purchased and not all of them owned freezers. At this point the Islamic Society decided to buy a freezer and keep enough supplies for their local brothers to buy the poultry as and when the need arose. Again I hope this system is still in use. What are the Teachings of Islam ? Who are the Muslims ?